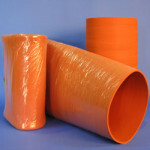 Seamless rubber tubing and sleeves are one of the most versatile flexible connectors. How do you select the best choice from the many varieties of rubber compounds and sleeve constructions? 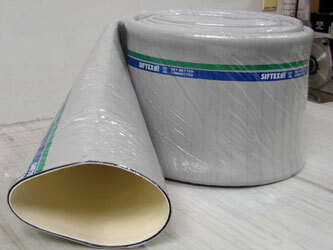 Let Siftex show you how the right rubber compound and tube design make all the difference in durability and wear. With dozens of FDA and non-FDA rubber compounds and thousands of mandrels sizes in stock, Siftex is your trusted source for seamless rubber tubing designed for your process. Get better connected with our thirty years’ experience, large stock and free cut-to-length service. Control static charges without the risk of wires contaminating your product. FDA-acceptable inside and outside product contact surfaces. 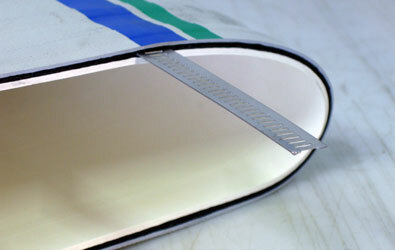 Make cut-to-length static-conductive sleeves quickly and easily. No static, no static worries! Simply push a metal clip into each end and connect to metal spouting. 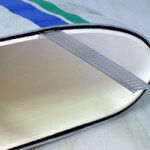 Static-conductive channel is located under the branding strip on the outside of the tubing. 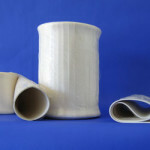 Available in two designs: 25 psi pressure rated hose, and lighter weight non-pressure rated flexible tubing. Both feature a 1/8″ (3.2mm) thick, white FDA-acceptable rubber tube and grey neoprene cover. If you looking for a non-FDA option Black Static-conductive Neoprene Tubing is for you. N55C is a high grade Neoprene rubber compound formulated to provide the properties of Neoprene – moderate oil resistance in addition to resistance to the elements. The incorporation of special black fillers provides a high level of electrical conductivity in the finished products as well as abrasion resistance. The compound is rated “conductive”. Additional diameters, constructions, and rubber compounds are readily available. Given the manufacturing process involved, there may be a minimum quantity requirement. 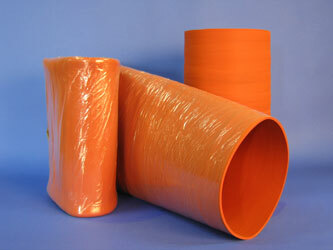 Talk to your sales representative for details on ordering the seamless rubber tubing you require. 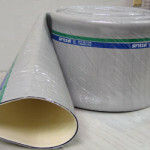 In addition, we can offer a number of alternative products, i.e. 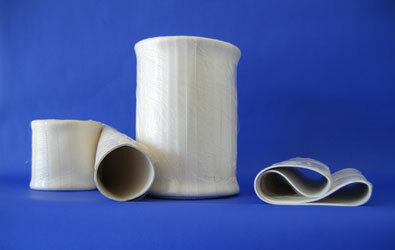 : Clear-Flex sleeves, PTFE sleeves, Sift-Socks fabric sleeves and Hi-Flex hoses without minimum production limits.